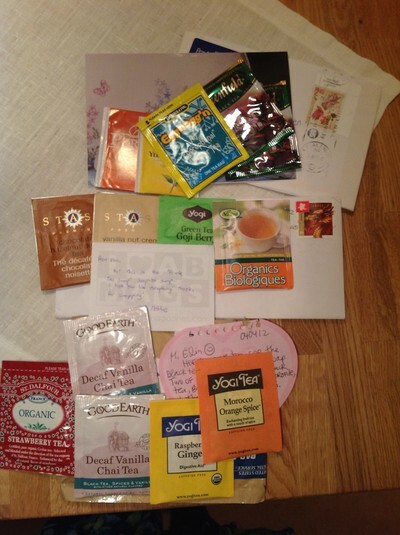 So, this week I have realised that in the long run I won't be able to post every new tea swap I receive on this blog. 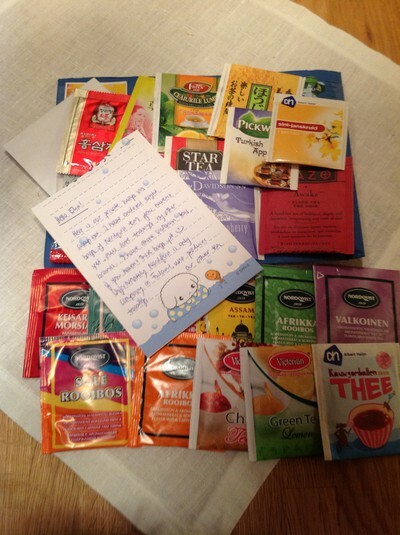 This week only I have received six of them, with a total of almost 70 tea bags, and there's still one day left that could add even more to this! I'm incredibly happy of course, but sorting the bags amd adding them to my collection aswell as preparing and sending out swaps myself on my end is time consuming enough in these busy times of me trying to write my essay. The essay which will determine whether or not I will be a qualified Swedish teacher. That's why I will have to calm down a bit and let this blog find a place further down on my priority list at the moment. Surely, I will pick it up again and work on the design etc. later on when the essay is done and some time frees up. 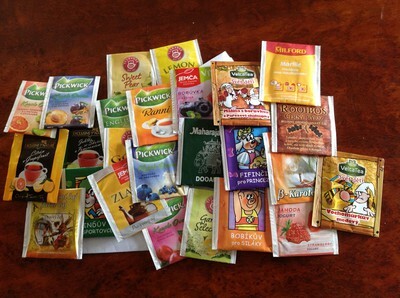 Another big load of exciting teas I've never encountered before has come from Lenka in the Czech Republic. These I haven't even tagged and sorted and added to my collection yet and examining them more closely is something I'm looking forward to. There are some tea bags here with the most wonderful designs! Like the one down to the left with a drawing of two fairytale bunnyrabbits on it. It looks like a tiny children's book and I love it! Thanks Lenka!